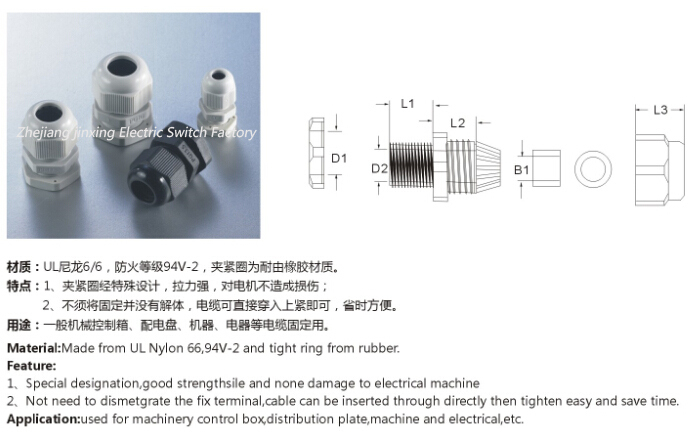 Material:PP or UL Nylon 66,94V-2 and tight ring from rubber. 1、Special designation,good strengthsile and none damage to electrical machine. 2、Not need to dismetgrate the fix terminal,cable can be inserted through directly then tighten easy and save time. Application:Used for machinery control box,distribution plate,machine and electrical,etc.